George Clooney made his friend Richard Kind hang a "horrible" painting he had found in the garbage and passed off as his own - and only revealed the truth six years later. George Clooney rummaged through garbage to play a prank on a friend. The Monuments Men actor convinced his friend Richard Kind a "horrible" painting he found in the rubbish was all his own work and made his pal hang it in his house - and only told him the truth six years later. He told Entertainment Tonight Canada: "I got a painting out of the garbage that someone was throwing away, it was on the side of the road, I picked it up and I took it home and I signed my name to it. "And my friend Richard Kind who was on Spin City, big Richard Kind - on his 40th birthday, [I gave him] this huge horrible painting of this naked woman, terrible painting.
" I said, 'I've done a lot of paintings, but this is the first one my art teacher is really proud of.' And he had to hang it, I was best man at his wedding, he had to hang it on the wall of his apartment. I left it for about six years before I told him." 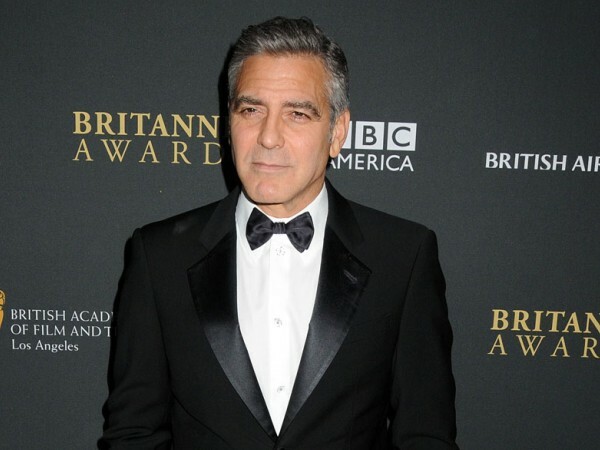 George's friend Matt Damon recently told how he was convinced he had gained an alarming amount of weight after his pal convinced the 'Monuments Men' costume department to take in his clothes slightly every day, but the 52-year-old star insisted it was just a minor prank compared with some other gags he is planning. He said: "That was just a little something I did on the side. I've got some others cooking. I do pranks that last for years."